Dr. Eng., PhD, Dr.h.c., Professor Emeritus, Institute of Structural Analysis and Aseismic Research, School of Civil Engineering, National Technical University of Athens. The School of Civil Engineering of the national technical University of Athens ranking third among all the candidates for the year 1957. The School of Chemistry of the University of Athens ranking first among all the candidates for that year. The School of Mathematics of the University of Athens ranking among the first of all the candidates for that year. Attended the School of Civil Engineering (1957-1962). In 1970, after 8 years of intense processional activity as licensed civil engineer, he jointed the chair of Structural Analysis at School of Civil Engineering as research and teaching assistant and completed his Degree of Doctor Engineer in 1973. In 1974 he was awarded a scholarship by the Polytechnic University of New York, where he continued his graduated studies in the Department of Applied Mechanics of the School of Aerospace, These studies ended with an MSc and a new PhD in the field of Applied Mechanics under the supervision of Professor Anthony Armenakas. During the years 1972 and 1973 he attended courses of his interest at the School of Mathematics of the University of Athens. He has also attended CISM courses on Finite Elements and Boundary Elements at Udine in 1983 and 1986. PhD (Doctor of Philosophy) in Applied Mechanics, Polytechnic University of New York, Brooklyn, N.Y.
Dr. Eng. (Doctor Engineer), National Technical University, Athens, Greece. MSc (Master of Science) in Applied Mechanics, Polytechnic University of New York, Brooklyn, N.Y. Diploma Civil Engineer, National Technical University, Athens, Greece. Mathematical Studies, Department of Mathematics, University of Athens. Computational Mechanics, especially in the area of Boundary Element and Meshless Methods applied to linear and nonlinear analysis of structures (beams, plates, shells, membranes, cables) under static and dynamic loads. Stability of structures (beams, plates and shells). Response of structures to nonconservative loads. Numerical solution of fractional differential equations and study of the response of structures under fractional type inertia and damping forces. Structural Analysis I--. Statically Determinate Structures. Structural Analysis II--. Statically Indeterminate Structures. Structural Analysis III--. Matrix Structural Analysis. Plane Elasticity with Application to Shear Walls. Theory of Elasticity and Elastodynamics. Buckling of Beams, Plates and Shells. Registered professional civil engineer in Greece. Experience in the design and construction of concrete and steel structures. 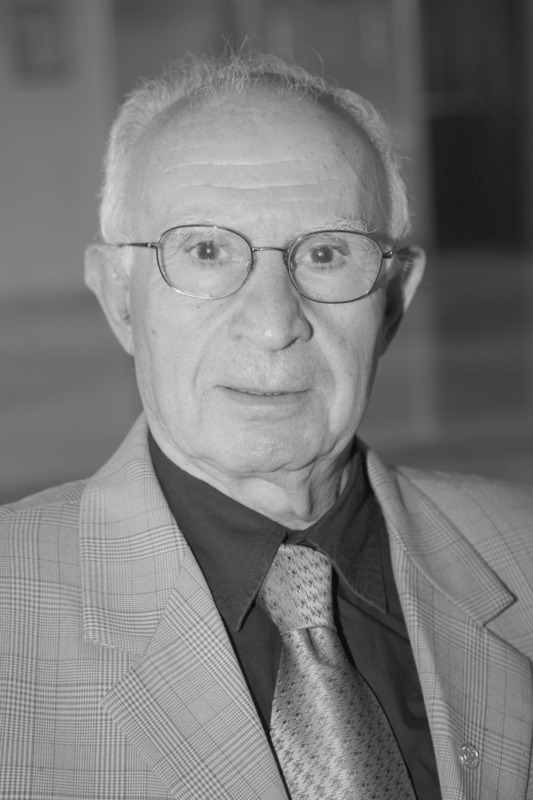 Honorary President of the Hellenic Society of Theoretical and Applied Mechanics, February 2014. Member of the Academia Europaea, elected on September 11, 2012. Member of the European Academy of Sciences and Arts. (Academia Scientiarumet Artium Europea). The Official award ceremony of the Diploma took place in Salzburg on March 6, 2010. Member of the European Academy of Sciences (EAS), November 18, 2010. Corresponding Member of the International Academy of Engineering, (Seated in Moscow), elected on February 26, 2010. Doctor Honoris Causa (Honorary Doctor) of the University of Nis, Serbia. May 2009. Honorary member of the Polish Society of Theoretical and Applied Mechanics, 2011. Honorary member of the Serbian Society of Mechanics (2007). Referee for the Queen Elizabeth Prize for Engineering 2013. President of the Hellenic Society of Theoretical and Applied Mechanics (HSTAM), 2007-2010. President of the Greek Association for Computational Mechanics (GRACM), affiliated to IACM (International Association for Computational Mechanics), 1997-2000 (twice elected). General Secretary of the Office of Theoretical and Applied Mechanics of the Academy of Athens. Member of the General Council of the International Association for Computational Mechanics (IACM). Member of the General Assembly of IUTAM and Representative of HSTAM in IUTAM. Fellow of the Wessex Institute, UK (for “his outstanding contribution to the development of the Boundary Elements”). Award plaque Honoris Causa by the General Staff of the Greek Army for his ten year contribution as a professor to the School of the Corps of Engineers, 1986. Award plaque Honoris Causa by the General Staff of the Greek Army for his contribution as professor to the School of the Corps of Engineers in Special ceremony on the occasion of his retirement, February 18, 2009. Member of the ECCOMAS Committee on Computational and Applied Mathematics. Thomaidio Award 2008 of NTUA for the best paper published in the Proceedings of International Conference (Paper No. 110). Award plaque of the Greek Army on the 180th Anniversary Commemoration of the establishment of the Corps of Engineers for his contribution as a professor at the School of the Corps of Engineers, 18 November 2009. Member of the Hellenic Society for Theoretical and Applied Mechanics (HSTAM), affiliated to IUTAM, Treasurer (1986-2000), Vice President (2000-2007) and President 2007-present. Member of the Greek Association for Computational Mechanics (GRACM), affiliated to IACM. President 1997-2000. Founding member and member of the Administrative Council until present. Fellow of the Wessex Institute, UK. Honorary Member of the Serbian Society of Mechanics 2007. Member of the General Council of the International Association for Computational Mechanics (IACM) 2003-present. Founding Member of the of the International Society for Computational Engineering and Sciences (ISCES). Member of the Administrative Council of International Society of Boundary Elements (ISBE). Member of the Greek Society for Earthquake Engineering. Founding Member of the Hellenic Society for Steel Structures Research. Member of the Greek Society of Civil Engineers. Member of Alumni Association of the Poly (Polytechnic University of New York). Member of the Scientific Research Society Sigma Xi.